threeA is one of the best toy companies on the planet. 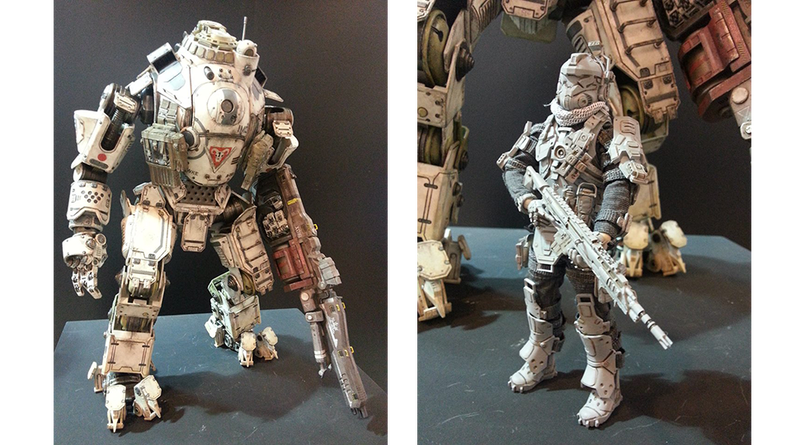 threeA has the license to make big, expensive Titanfall figures. This will only end well. You can see the first Titan/pilot pairing here. The Atlas stands an enormous 20.5" tall, with a 6" pilot scaled to accompany it. The pilot is unpainted in these early shots, but you get the idea: this thing's going to be awesome.